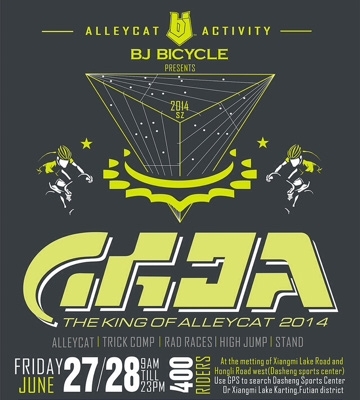 Our good friends BJ Bicycle is holding their annual AlleyCat event in Dashang Sports Center, Shenzhen, China. The event is scheduled for June 27th and 28th, starting at 9am. They're expecting a large turnout, but are always welcoming. These guys know how to hold an event and on top of it, they're the coolest cats in southern China!